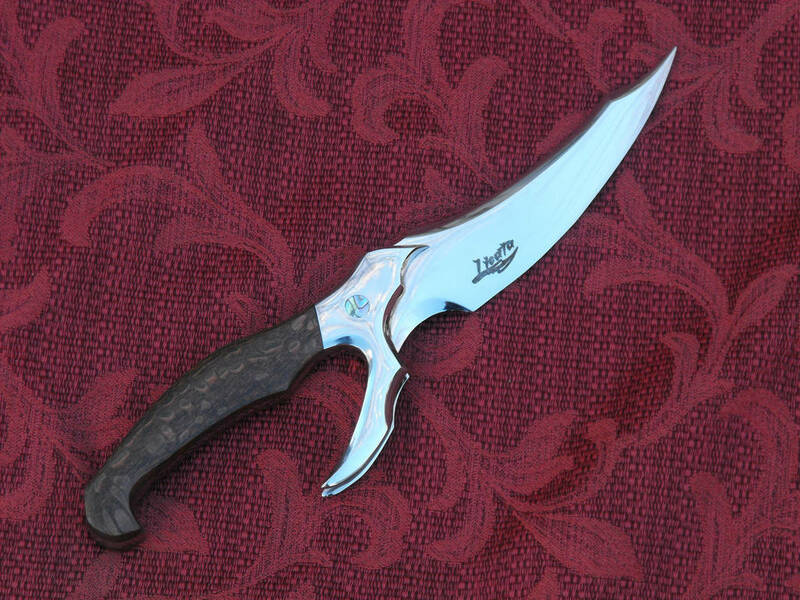 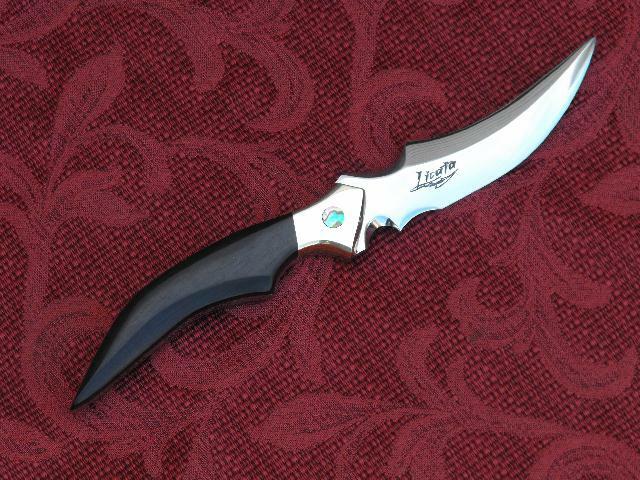 D2 blade full tang Rockwell 60 with stainless guards, abalone shell inlay and buffalo horn scales. 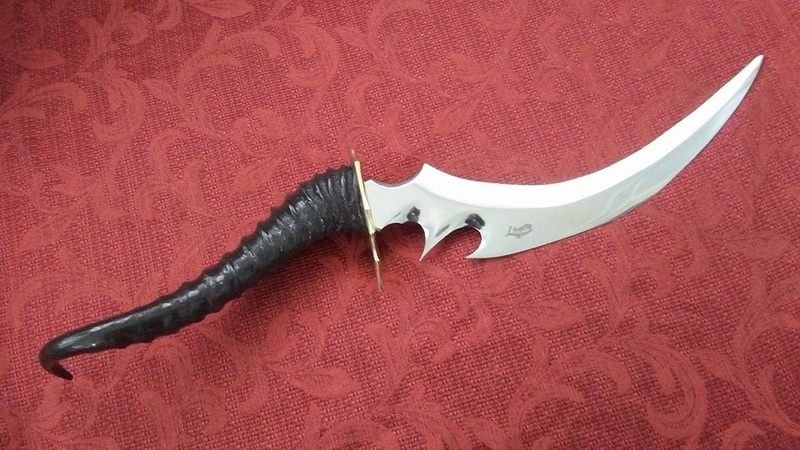 15 3/4 inches overall. 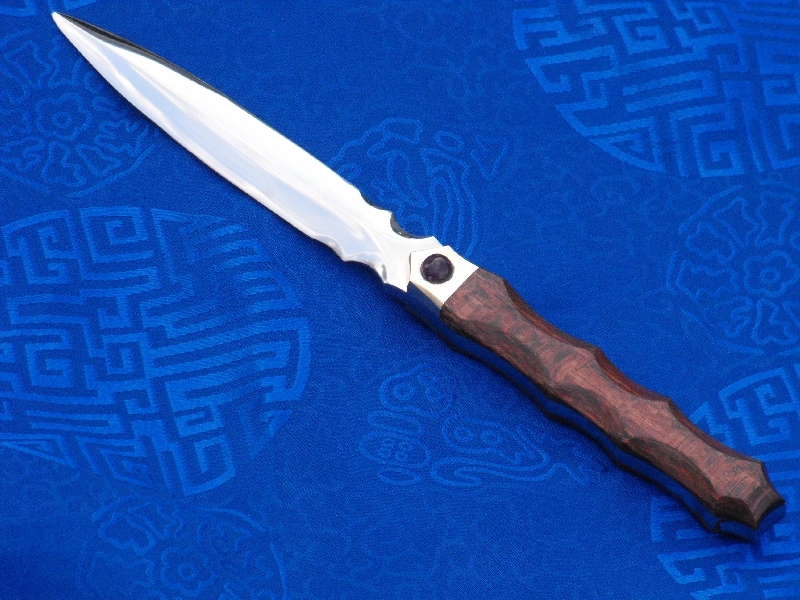 154cm Rockwell 60 with brass bolsters, abalone inlay and black palm scales 7 1/8th inches overall. 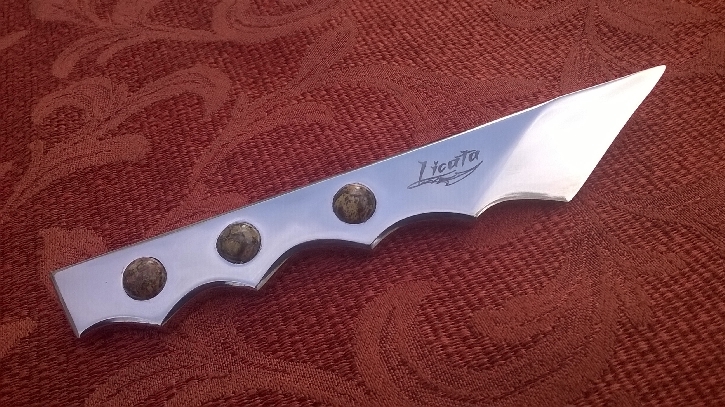 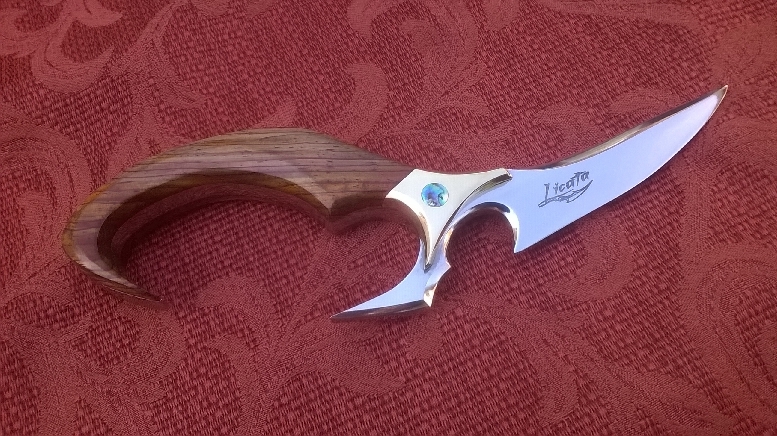 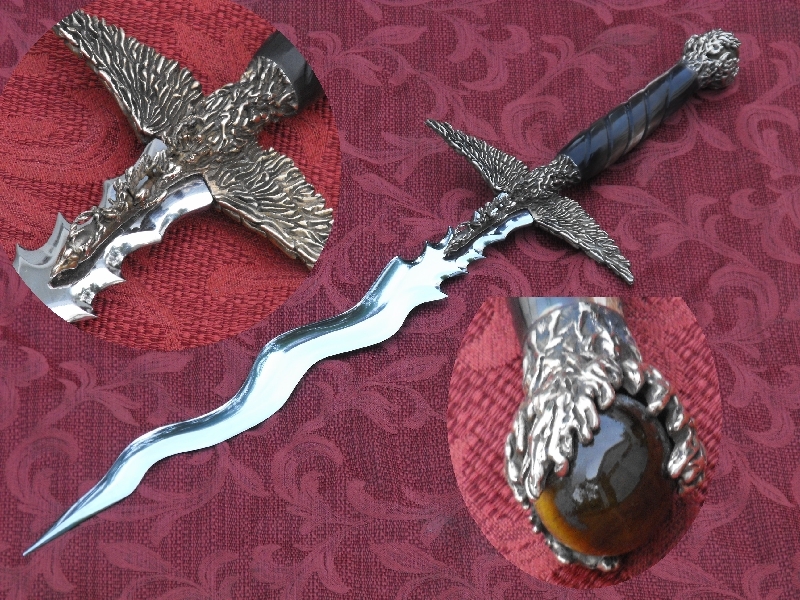 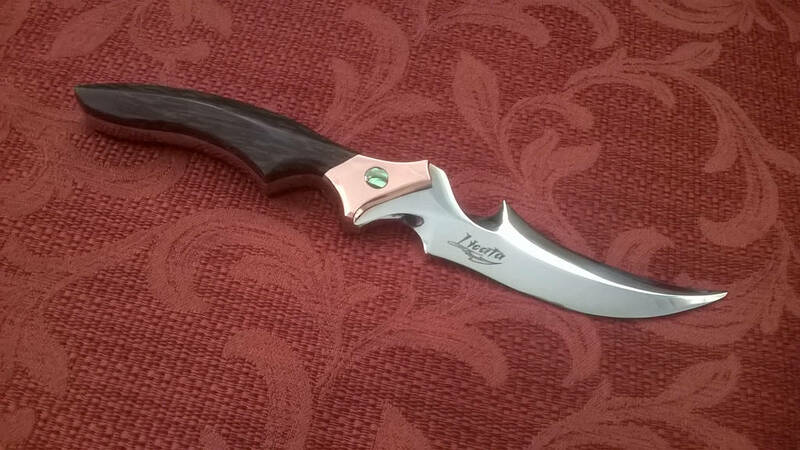 stainless bolsters, black palm wood scales and abalone inlay. 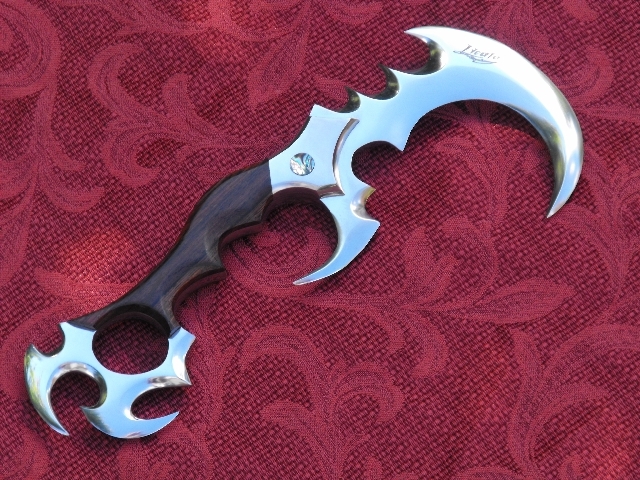 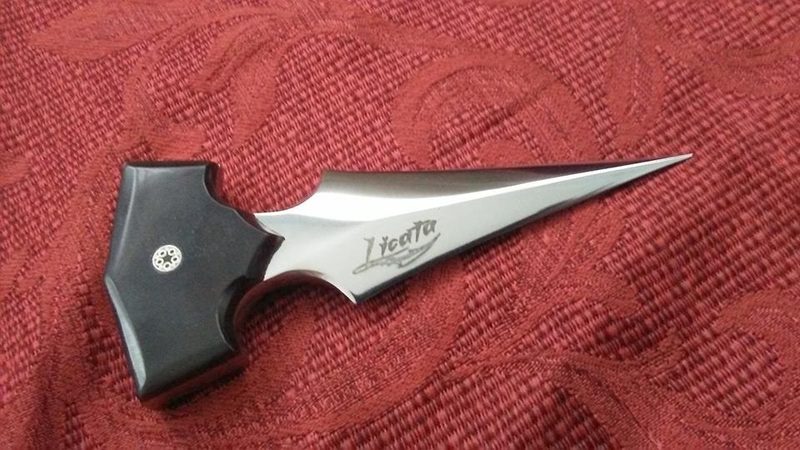 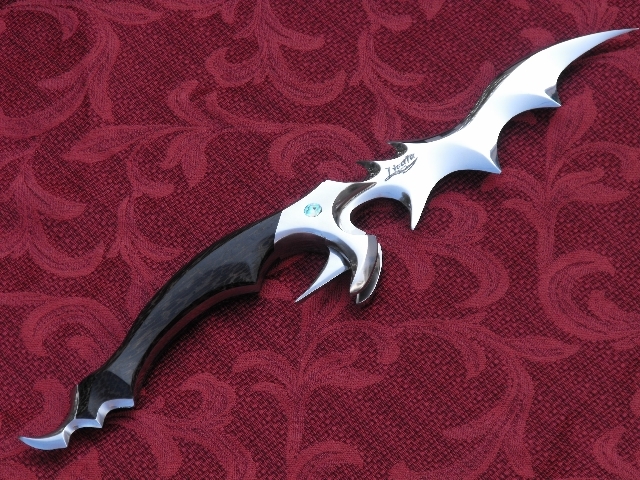 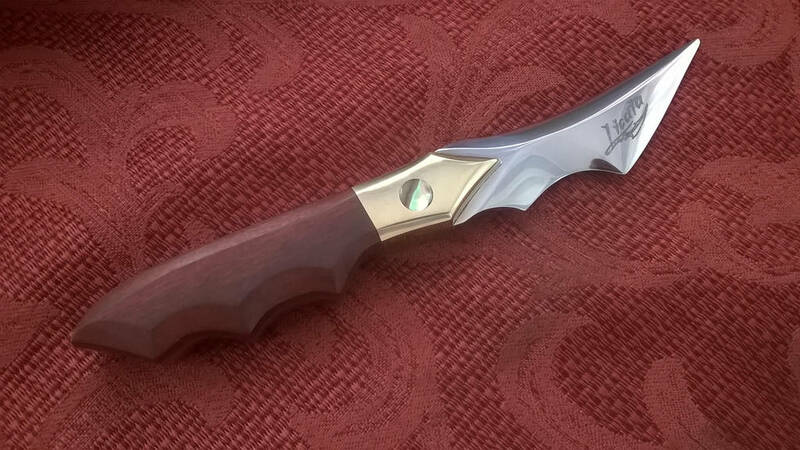 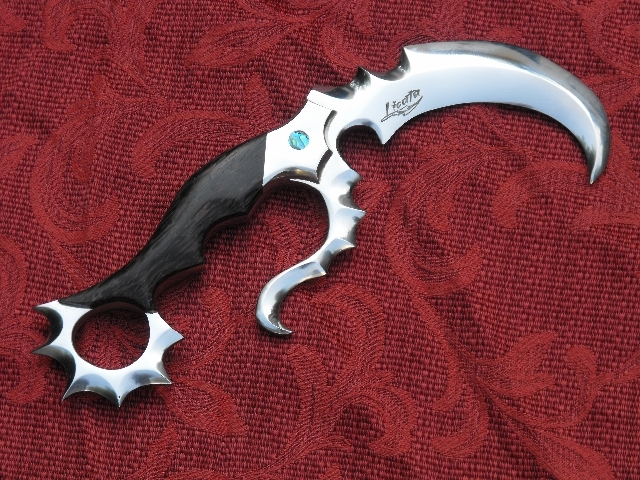 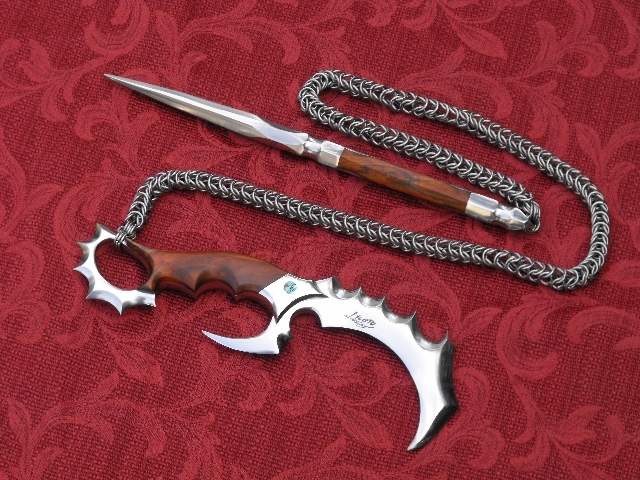 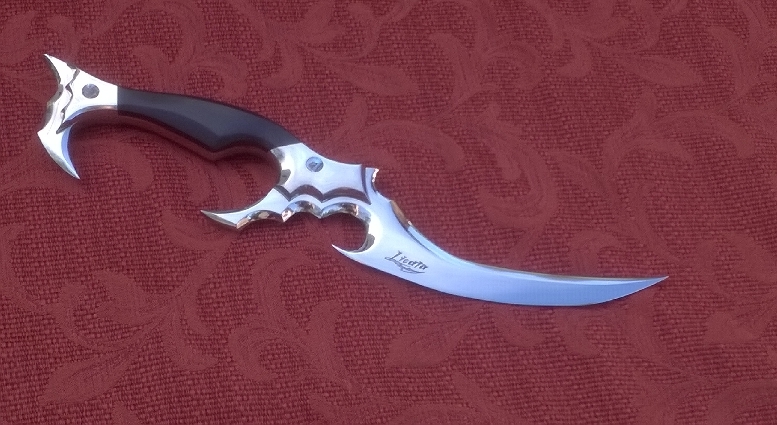 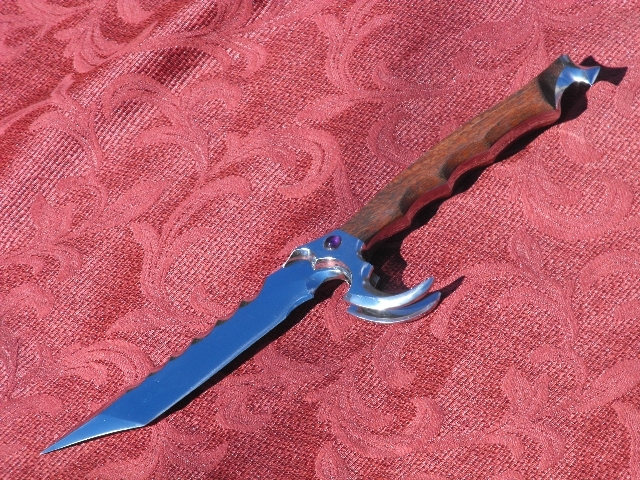 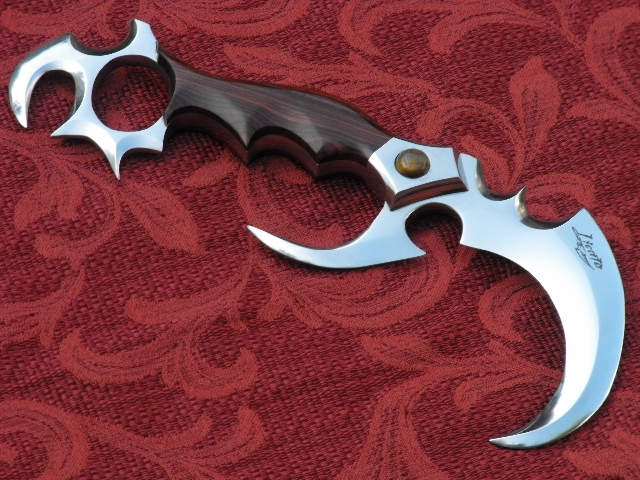 Punch blade with 10mm lapis lazuli cabochons D2 steel Item #KZ2 $85. 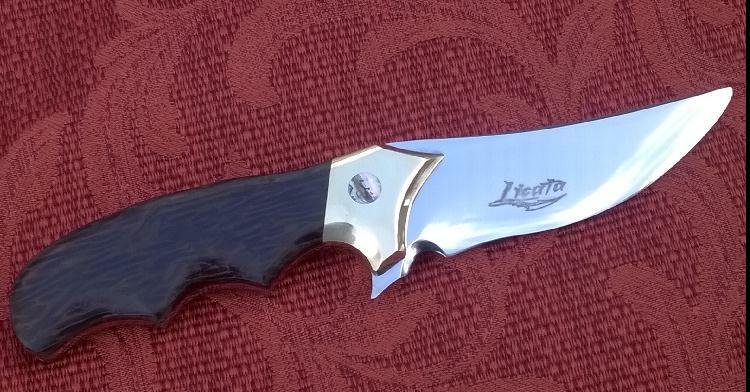 7 1/4 inches overall Item #LP2 $200. 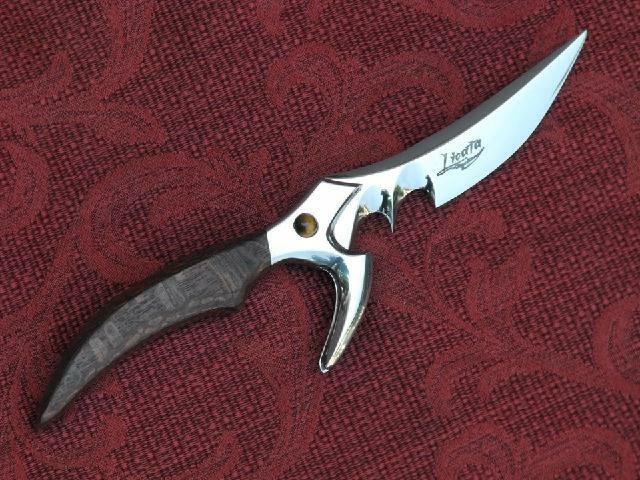 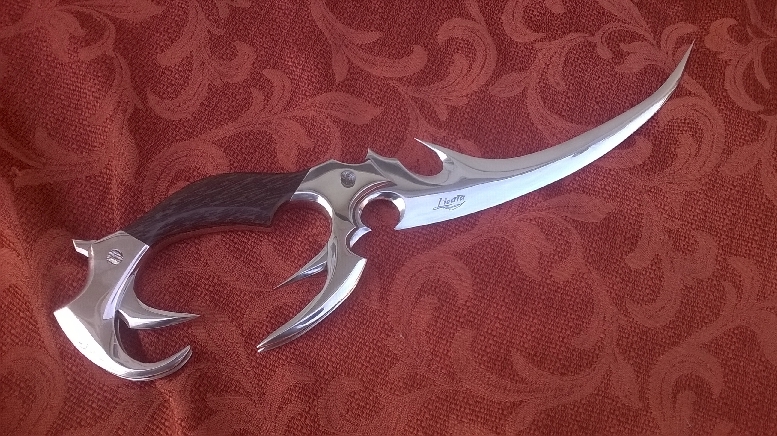 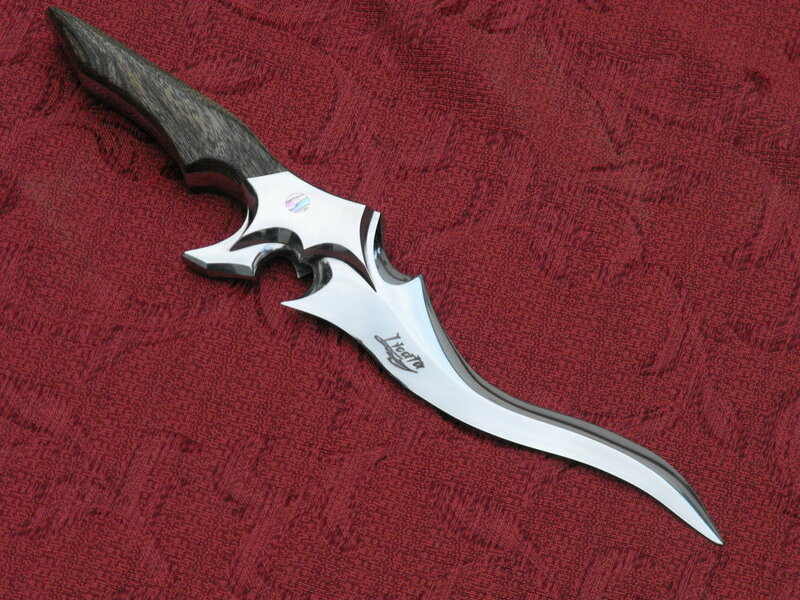 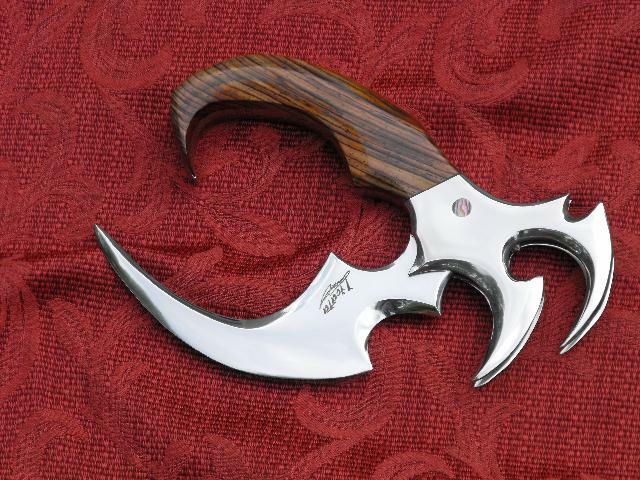 D2 full tang punch blade with buffalo horn scales and mosiac pin Item #GT1 $150. 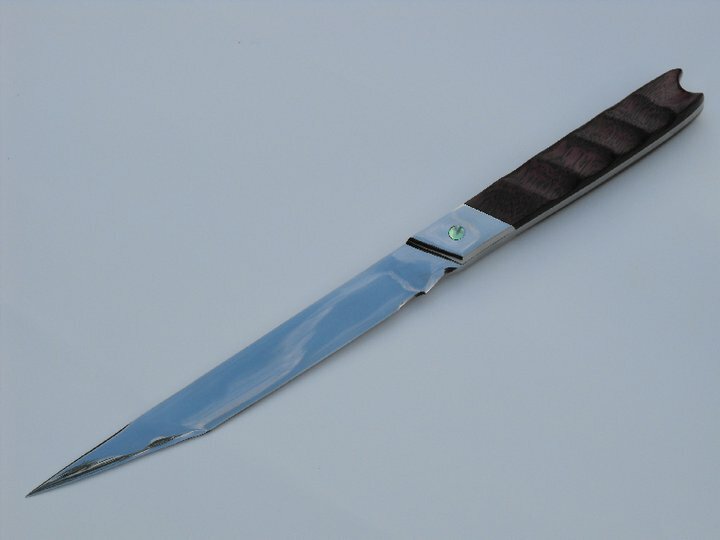 D2 steel with brass guard and blesbok horn handle Item #GT2 $425. 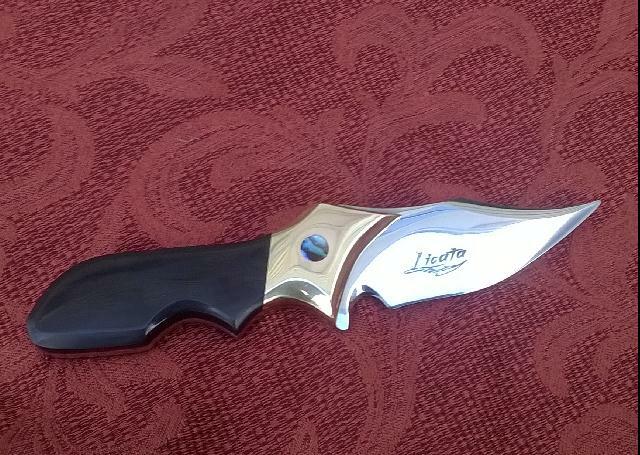 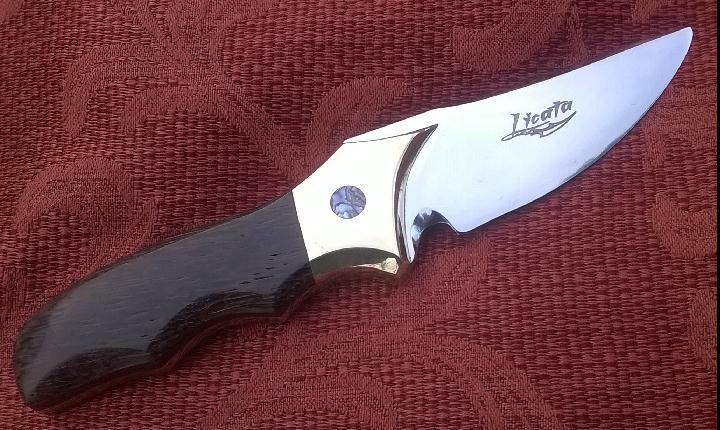 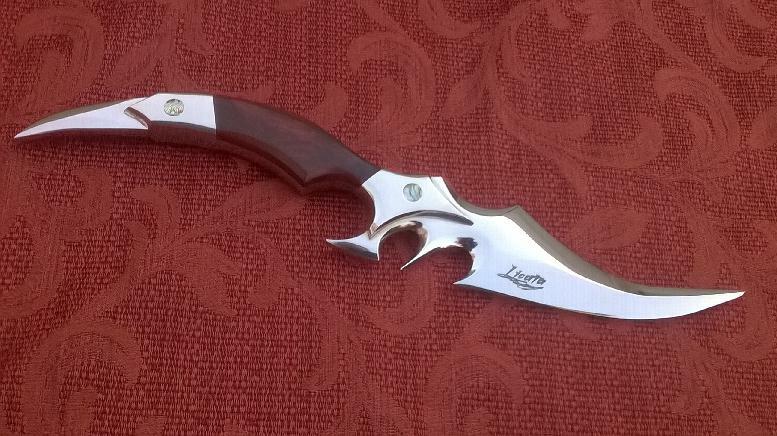 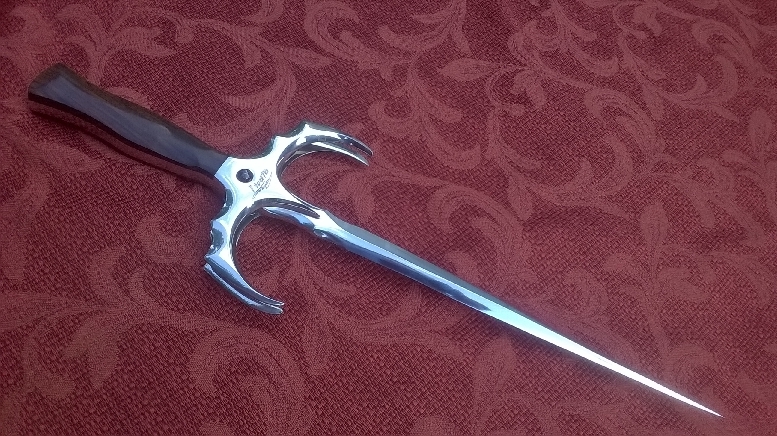 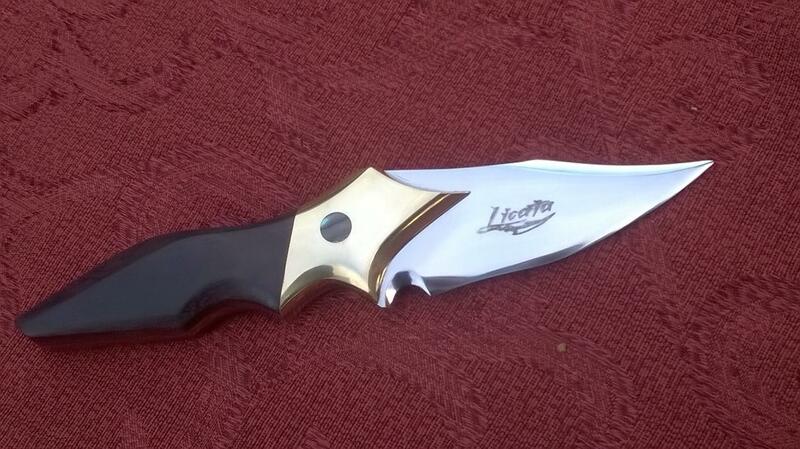 D2 steel with brass guard and blesbok horn handle Item #GT3 $425. 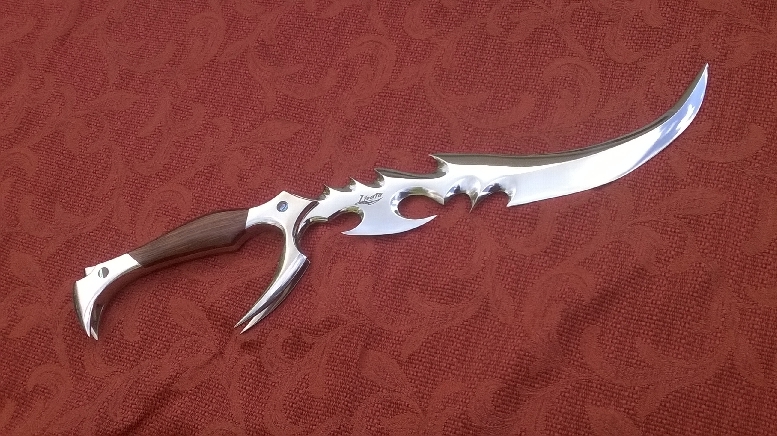 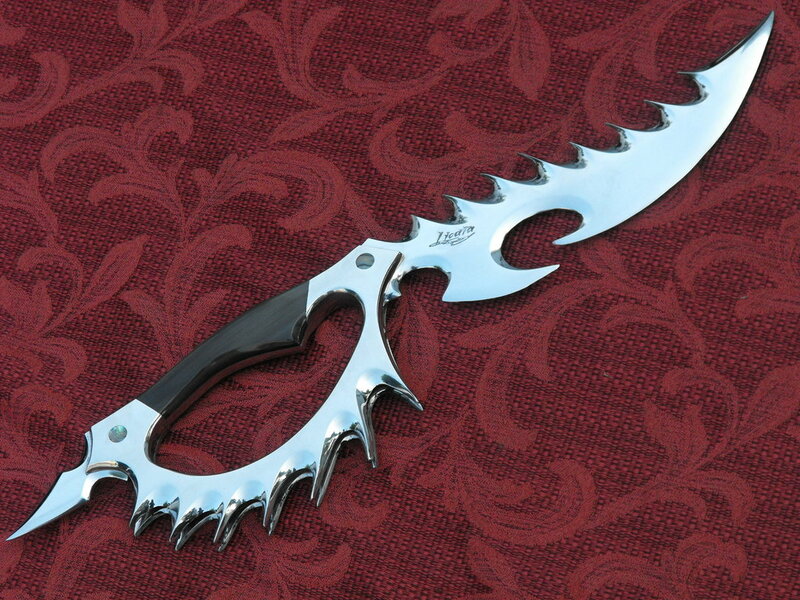 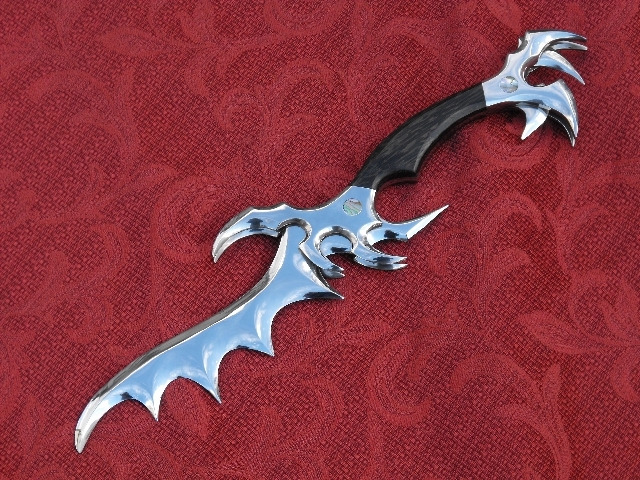 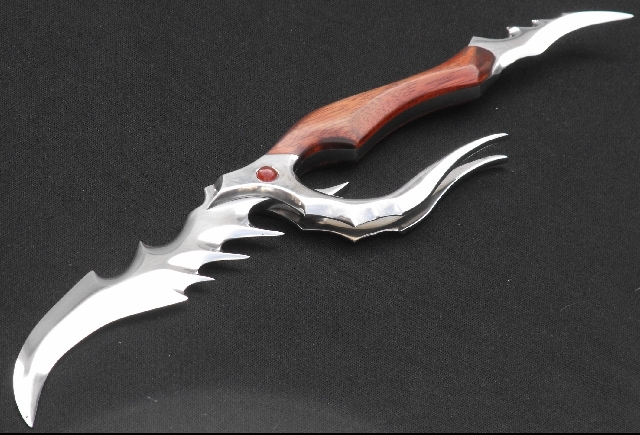 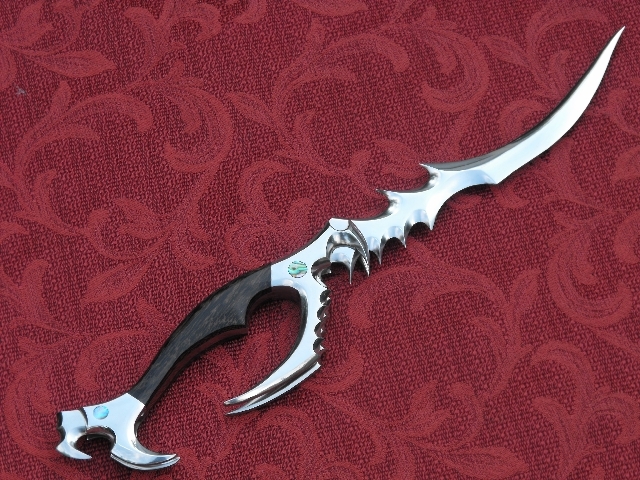 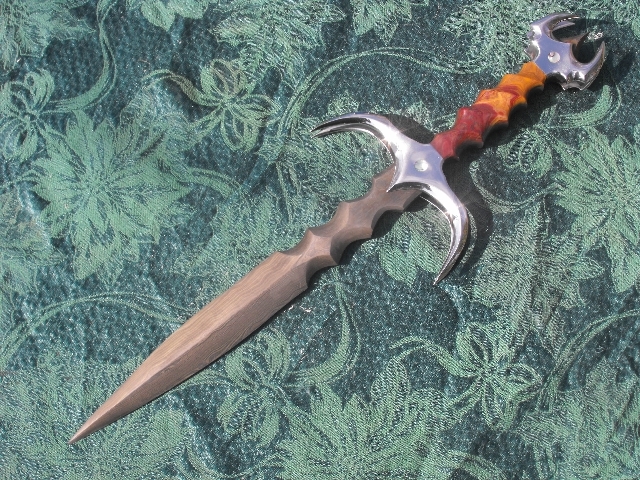 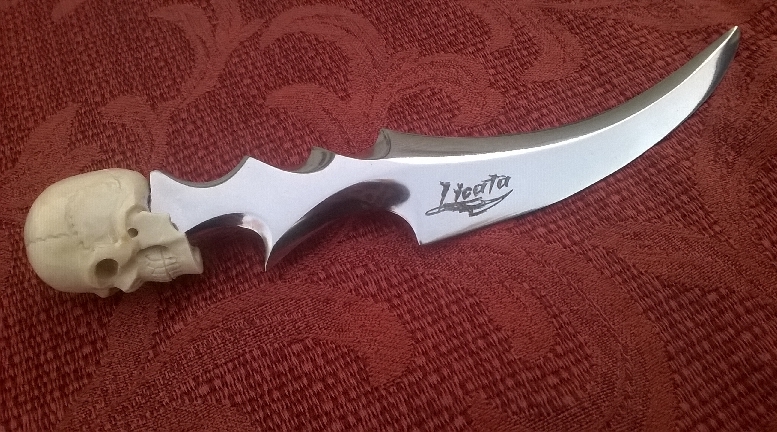 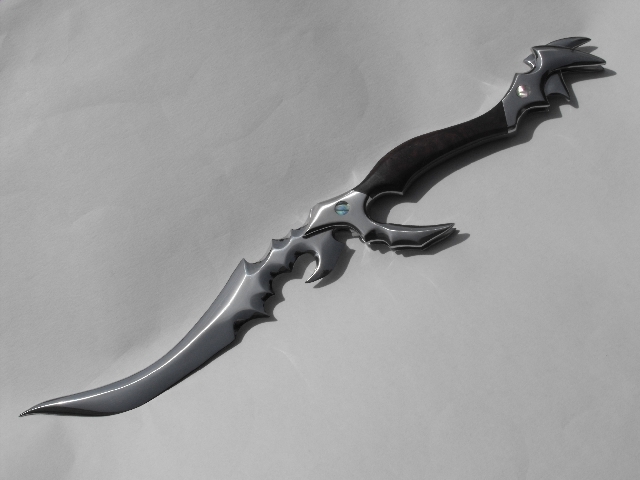 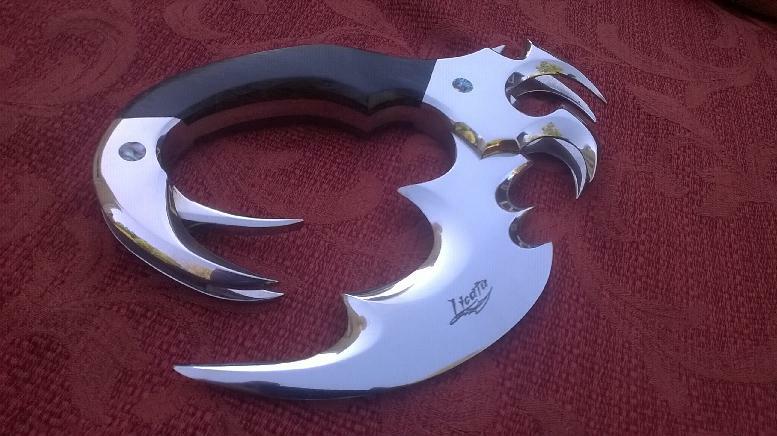 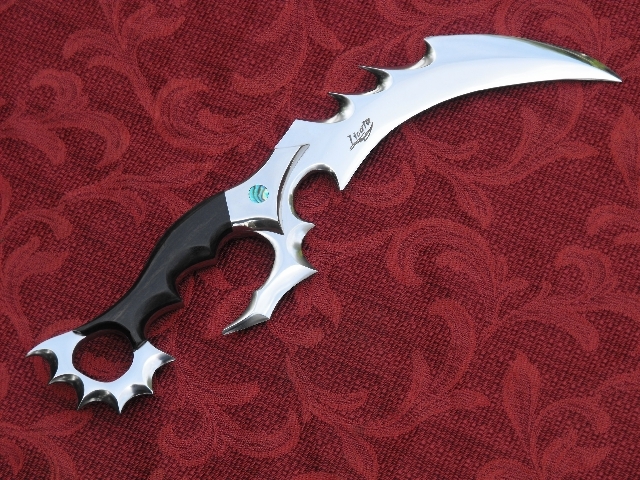 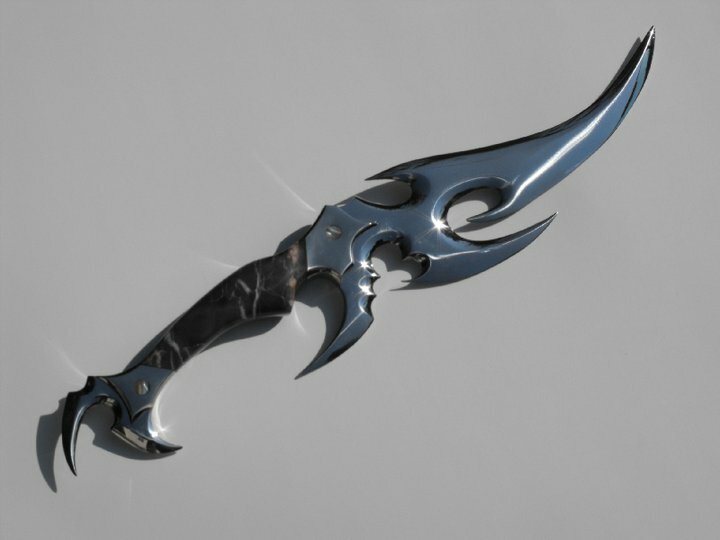 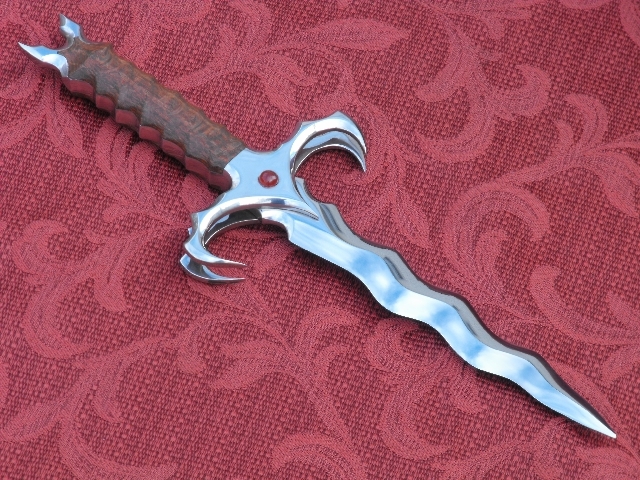 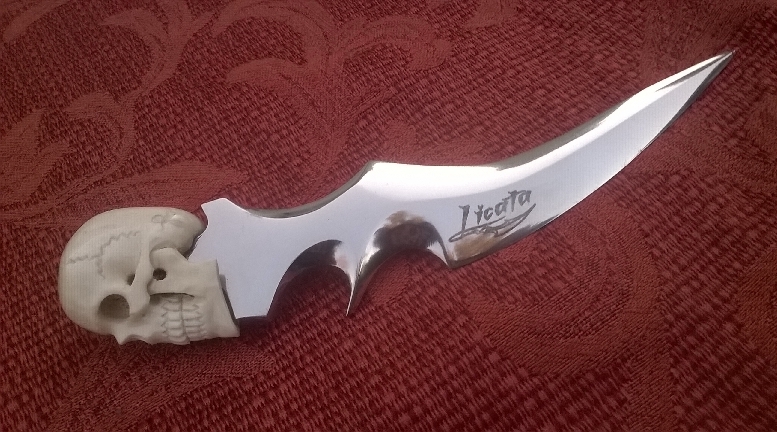 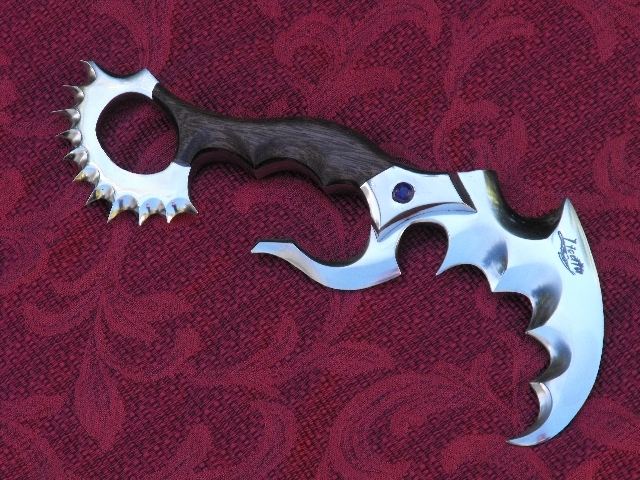 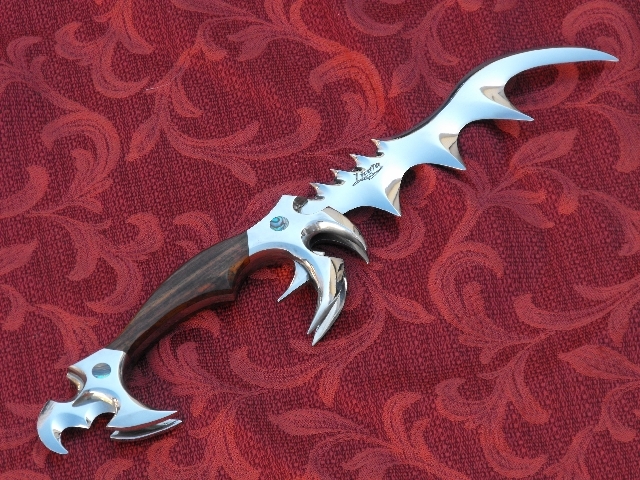 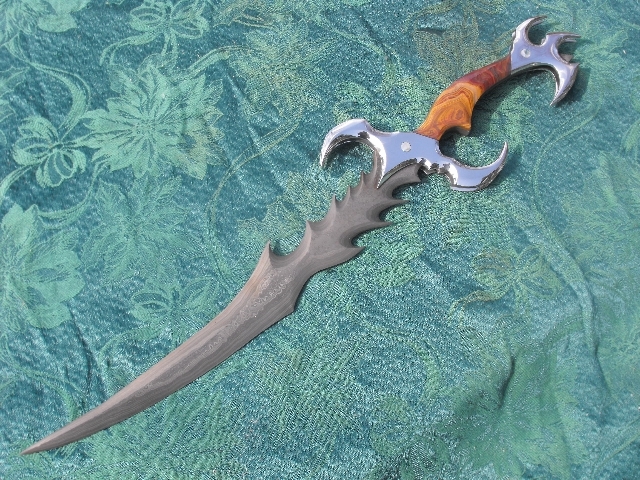 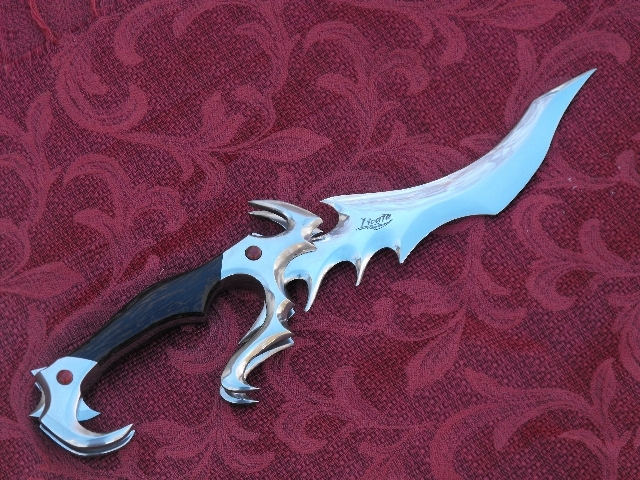 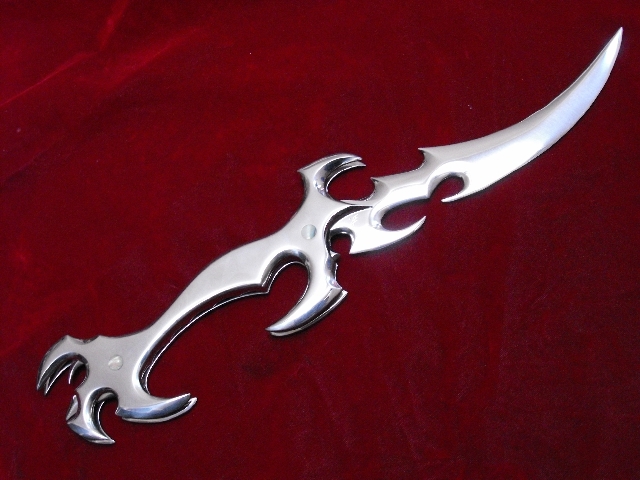 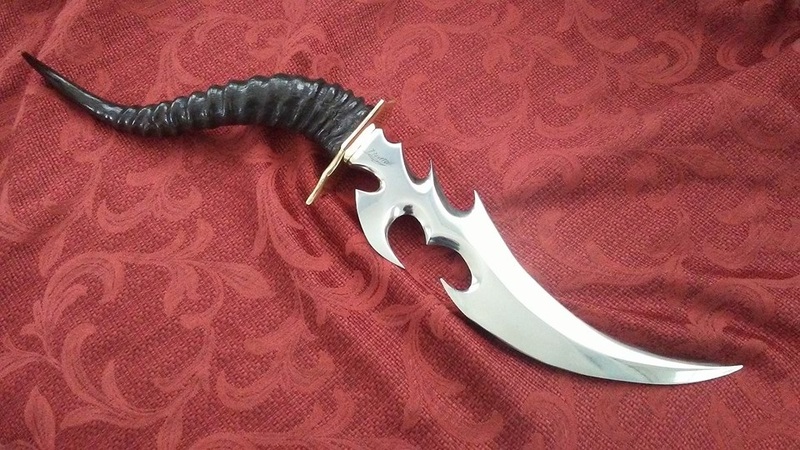 skull punch blade Item #Skull10 $125. 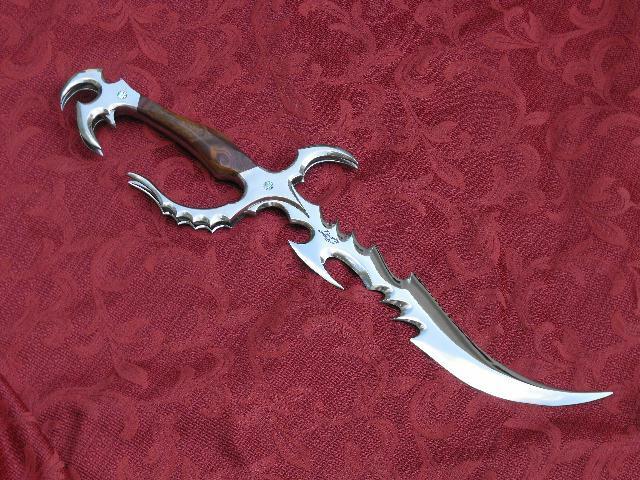 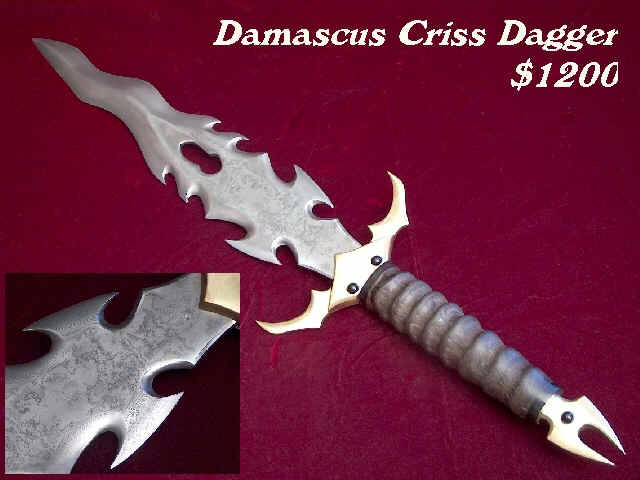 Skull puch blade Item #skull11 $125. 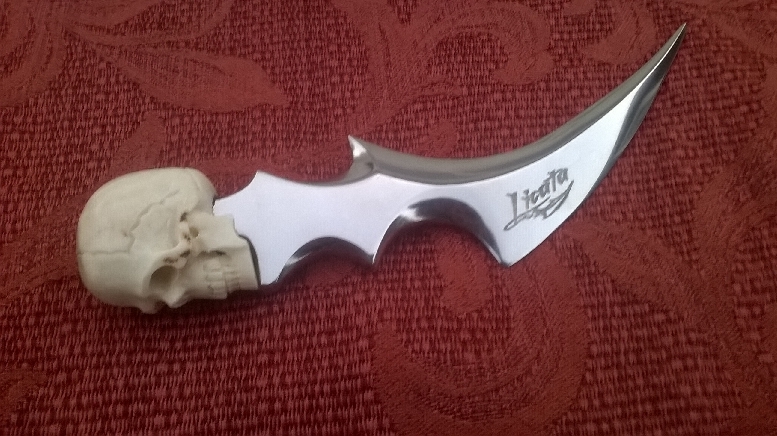 Skull puch blade Item # Skull12 $125.